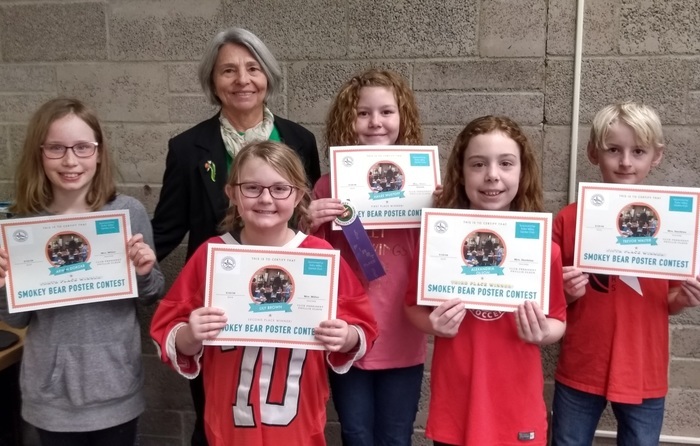 Phyllis Olson, president of the Dufur Valley Garden Club, presented the awards for the 3rd & 4th grade "Smokey Bear Poster Contest." She is pictured here with the winners. All students who participated received $1, a Smokey Bear bag, a bookmark and a pencil. 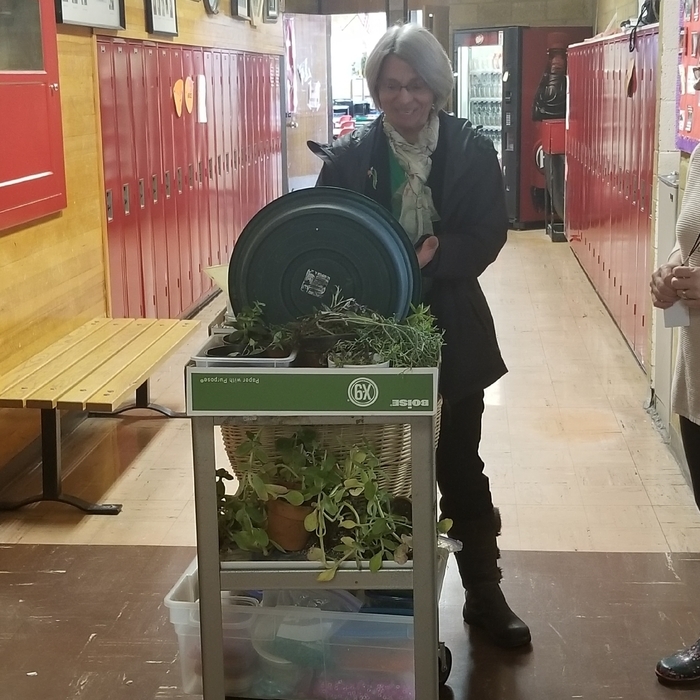 Thanks to Phyllis Olson and the Dufur Garden Club for their dedication to the Dufur School District. Helping make Dufur School a "Great Place To Learn"!